Leading hotel group Constance Hotels and Resorts received the highest number of stars across the group in the 2016 World’s Best Wine Lists. Jerome Faure, Corporate sommelier for Constance, with the support of assistant corporate sommelier Jorald Julie, oversees the wine program across all six Indian Ocean-based restaurants: Constance Ephelia Seychelles – Cyann Restaurant, Constance Lemuria Seychelles – Legend Restaurant, Constance Halaveli Maldives – Jahaz Restaurant, Constance Moofushi Maldives – Alizee Restaurant, Constance Belle Mare Plage – Blue Penny Cafe Restaurant and Constance Le Prince Maurice – Archipel restaurant. Even with his hands completely full, Faure finds the time to assist his sommeliers in training in any way he can. 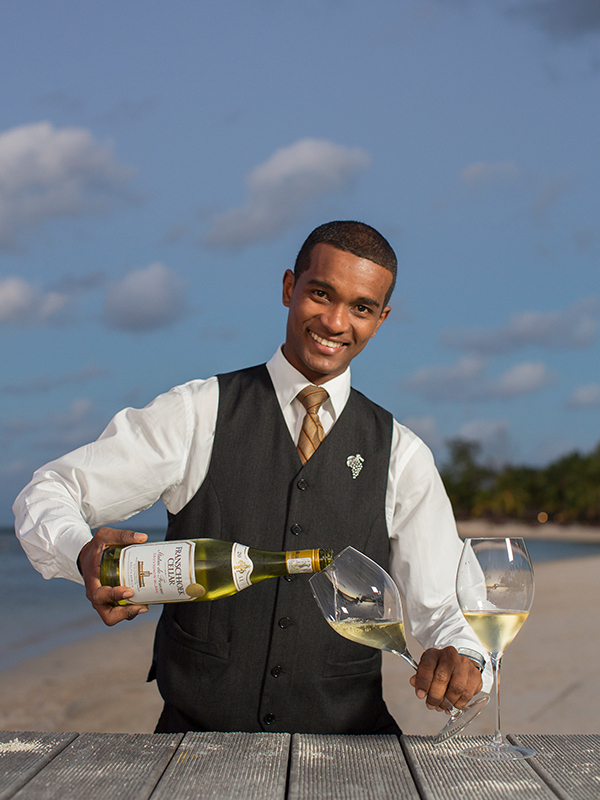 He continues to organise the Mauritius Sommelier Association, a venture he initiated with some Mauritian friends, and arranges biannual vineyard trips with the Resort Head Sommelier (Spain in 2016) and with the assistant or commis sommelier, usually to South Africa. “How can you speak about the wines to your guest, if you’ve never been in the vineyard?” stated Faure. Faure first became interested in wine when he wanted to open his own restaurant and knew that chef skills alone were not enough. This drive took him to wine studies in Grenoble, where he met Jean Claude Ruet – head sommelier of two Michelin starred La Pyramide in Vienne, France – during sommelier training. Ruet took Faure to vineyards and spent the time sharing his knowledge with him. “He gave me his passion… I think that is the reason why I love sharing my wine passion with young sommeliers,” commented Faure. 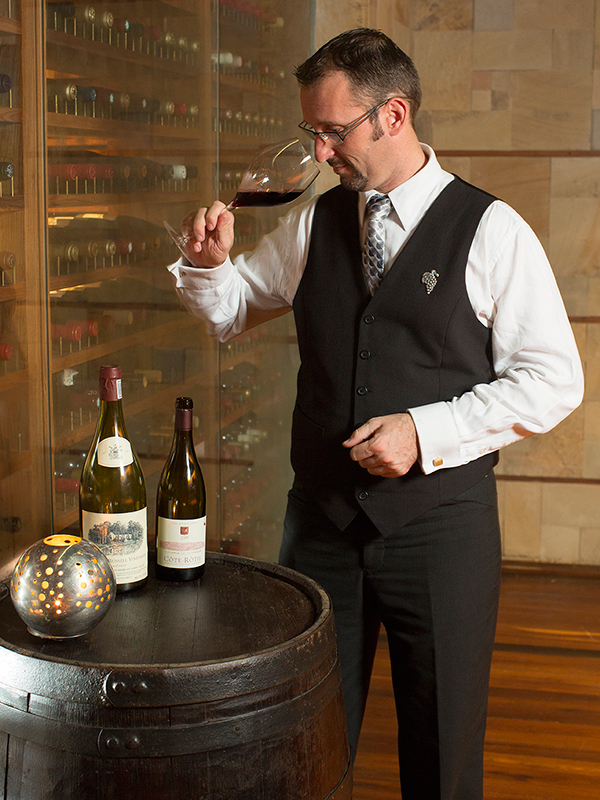 When asked how Constance Hotels and Resorts maintain such high quality wines across the group, Faure simply stated that it is a result of their great CEO, Jean Jacques Vallet, who loves and understands their sommelier work. Faure and Julie make quite the team and together select wines, organize shipments to the resorts, pricing and sommelier recruitment. They also arrange wine training for the other sommeliers and often collaborate with others in the industry to further enhance their knowledge. Constance restaurants incorporate many wines from France and the Southern Hemisphere, particularly South Africa, into the wine lists. In Mauritius and the Seychelles, guests tend to focus more on South African wines due to the proximity and top selections available. Head to the Maldives and guests are more likely to opt for a French wine, especially Burgundy. Faure’s unrelenting passion for his trade and for sharing his knowledge is truly captivating. He discussed some of his favourite wines, not wanting to pick just one, but from everywhere in the world. Escarpment Chardonnay in New Zealand, Momento tinta Barocca, Cartology, in South Africa, Vin Jaune from Tissot in Jura, Chateau Gilette in Sauternes and Cote Rotie from Gerin, to name a few. “But I am a wine lover for Chardonnay from Burgundy and Syrah from Rhone Valley. I remember of a Chevalier Montrachet from Bouchard in 1948 which was just amazing… nose of truffle, bun, buttery… and was still growing in my glass after 2 hours,” Faure added. “The wine is in the heart of the wine maker. If I don’t appreciate the man behind the wine, it is difficult for me to enjoy his wine,” said Faure of his fundamental philosophy.